Reading this in Ireland and new to NFL fantasy drafts? Seasoned pro and running late on getting your draft prep work done? Sitting on your lunch break looking for some sleepers for your draft night? Whoever you are, hopefully the From The Bleachers 2013 NFL Fantasy Draft report can help you prepare. The last couple of seasons more and more Irish, UK and European sports fans are playing Fantasy NFL. It’s growing at an exponential rate, in part due to the increased exposure on TV over here, partially no doubt as a result of that whole ‘Internet’ thing. Pretty much anyone with Internet access can get their eager little paws on all the information, news and statistics they need to run a successful fantasy NFL team. Then, when you have picked your squad, you can follow the action online or on TV. The NFL is perfect as a fantasy sport, with its stop-start style of play, enabling players time to devour new truck loads of statistical information that is uncovered on every single play. The NFL is probably the single most suited sport in the World to fantasy games. Yes, even more so than baseball (The 162 MLB season can grind down even the most invested of fantasy team owners). With that in mind, some of you might be approaching it for the first time, perhaps a friend has invited you into a league or something along those lines. Maybe selecting your first team is a daunting exercise. Fear not! With a little tiny bit of guidance you too can pick a competitive squad for this season’s NFL fantasy go-round. Where can you get that guidance? Right here. This guy. Your author isn’t absolutely guaranteeing you a championship, however he spent the last few weeks doing his research, and, furthermore, he won the league he played in last season. Let’s put it this way, you won’t be any more NFL-draft-stupid after reading the below. We’re going to have a quick look at the basics in terms of pre-draft strategy, we’re going to take a look at in-draft strategy too, and we’re going to have a look through the positions, focussing on some strong players and hopefully giving you some ideas for sleepers also. The content of the below is based on a 10 team, head-to-head format league, with essentially standard scoring across the positions. The key to winning your league is knowing your league. Understand fully the format you are playing in (is it points passed or head-to-head, for example). Most importantly, ensure you understand they type of players you need to win the league. To do this, simply have a look at the player rankings from previous seasons. Your league might value certain players higher than others. Make sure you know who, before the draft. More on this shortly. With all due respect to my buddy Jason, half reading one Fantasy NFL article on the LUAS on the way to your live draft is not doing your reading. If you are planning on winning your league, it’s time to get started now. You really have no excuse as there are absolutely stacks of entertaining and informative articles readily available on the subject. Most of the big US sports sites carry some sort of Fantasy Football preview, but with a little bit of digging you can bring up some interesting nuggets on your own. Here are a couple of links to articles I enjoyed pre-draft. Let’s start with the all-encompassing, all singing, all dancing Sports Illustrated 2013 draft preview. It has everything, and all in a nice, easy to use graphical format. Don’t be fooled by the glossy presentation, there is some meaty stuff under the images and headings. The positional previews are excellent. Mathew Berry of ESPN has a fun love/hate list which has a few interesting pieces in it. No need to wade through the opening article, just dive right down to the players! ESPN also has a pretty interesting ‘sleepers and busts’article you might find interesting, although it is pretty detailed for new players. That’s enough for now, and frankly if you get through half of the above, you should be all set! One last note on pre-draft reading. Do not pay cash money to read anyone’s draft guide!! There is enough free quality information on the Internet without paying cash money for same! What we mean here is, know exactly what type of players you want to go after first. Not only that, have an idea what positions you want to fill on your team sheet first, which you rank highly and which you are not so concerned about. For example, perhaps your league values RBs a little higher than QBs. Obviously you should therefore be looking at getting RBs early. There are certain positions that are less valuable than others, and yes, we are talking about kickers. At the end of the season your kicker is not going to be what decides if you win your league or not, so don’t draft one too early! Imagine you have your cheat sheet prepared and you know exactly who you want, and, when you want them. Imagine then someone picking your guy just before it’s your turn in the draft. Take a deep breath, all is not lost. Don’t deviate from your plan. There are generally pretty good alternatives to your desired player. Don’t let someone snagging your guy just before you throw you off course. Have a list of suitable alternatives ready. Have a pen and paper available, so you can make short lists and change your tactics in-draft. The draft is a living, moving, breathing creature that changes often. You should always have alternative players jotted down for situations where someone else gets him first. Besides, just like studying for exams, writing and being interactive keeps your more focussed. Having said that, this all goes out the window after your ninth beer. Here’s my squad post draft. Obviously I have a bit of work to do, however I’m happy enough for starters. Have a look and see if you can spot the strategy I went for pre and in-draft. Basically because of the league I play in, I went RB heavy, even taking two for the bench positions. Stocking up, I believe they call it! I went for one premium QB and was hoping to get Alex Smith in the late rounds for my second guy, but ended up with Jake ‘Hurt’ Locker. I took a gamble and sold out early on TE and D/ST also. I found last season that having dominant defences definitely helped, and thus chose two premium ones. More on those later. You may disagree with the players, but remember it is a competition, obviously I didn’t get everyone I wanted. What I did do, is fill out the positions I wanted with quality as early as possible. As you can see from the above, I’m taking a huge gamble with the WR position. That’s how you win though, take a gamble, if it pays off, you generally end up on top. If you use the links I gave you above you should have no problem preparing a cheat sheet of the players you want, but you will still want to find some late round value. We can hopefully help you with that. Let’s have a look at the players, by position. The premium guys are generally worth going after, if not before the premium RBs, definitely in around them. Remember, make sure you figure out how valuable each position is in your league before your draft. If QBs are as valuable as in my league, then you are going to want to grab one or two of Tom Brady, Aaron Rodgers, Cam Newton, Peyton Manning or Drew Brees. Those are the established point-scorers that you might want to sell out on, if it’s your turn to pick and they are available. We’re talking about value here though, so let’s look at some guys that you might get a little later who should still help your team win. Mathew Stafford is set for a big season. Detroit have been balancing on the edge of a big breakout season for seemingly years now, and, once again all the pieces are in place. Stafford has guys to throw it to (Like Calvin ‘Megatron’ Johnson’) and, finally, a guy to hand it off to, too. 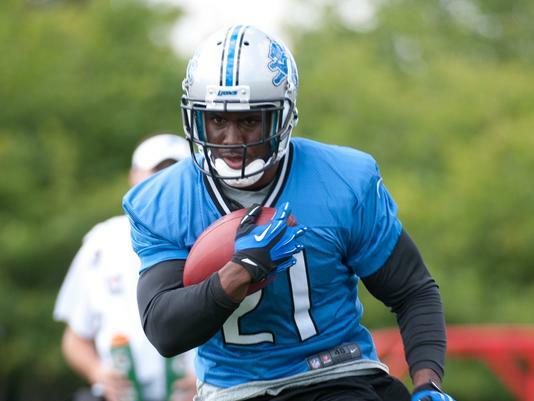 Reggie Bush’s arrival in Detroit might be the final piece of the puzzle for an already high scoring Detroit team to really explode. Colin Kaepernick is oddly trending quite low in terms of selection placing, however you can’t ignore the physical attributes he brings to the table. A dynamic runner with the ball, he also has an absolute cannon of an arm. Perhaps people don’t think they saw enough of him last season to warrant a high draft pick, but if you end up with Kaepernick sitting there available in your draft, grab him. Alex Smith is a guy I really wanted. He is a steady hand at the rudder and has the players around him in Kansas to lead to big fantasy points. Dwayne Bowe is an exciting receiver and stud RB Jamaal Charles will keep the opposition defence guessing. Smith is trending very, very late, and represents a nice late round pick. The premium position in many leagues, RB is crucial in my league also. The top guys you are going to want to be in a position to take a shot at are Adrian Peterson, Arian Foster, Doug Martin, C.J. Spiller, Ray Rice, Jamaal Charles and the premium back I ended up with was Seattle’s Marshawn Lynch. Again, we’re looking for late round value here, so, let’s have a look at a couple of those guys. The chances are most of the guys in your league will know that Steven Jackson is now playing for the Atlanta Falcons. This information seems to be slow getting across however and Jackson is being drafted as low as 20th in some leagues. His average selection appears to be around 13th in RBs and that to me is still too high. Jackson will be the feature back in a very successful Falcons offence and will, by end of season, be in the top 10 fantasy points scorers across the board positionally. Montee Ball might be a rookie, but he’s going to be the feature back in Denver, and will be in great hands with Peyton Manning calling the shots. Ball was one of the top college RBs the last two seasons and can hit the ground running in the NFL. While Stevan Ridley will carry the ball the most in New England, Shane Vereen still warrants a mention in that the Patriots seem to like him as an impact, passing situation back. Furthermore Brady seemed to enjoy hooking up with him out of the backfield towards the end of last season, which is as good a reason as any to grab him in a late round as a potential sleeper. Why has Maurice Jones-Drew slipped so far? This time last year he was going in the top 5. He appears fully healed and ready to go. If he is available late in your draft, grab him with both hands. Reggie Bush and Lamar Miller are both guys you can take a chance on, and both are linked somewhat. Bush is going to get a chance to play in a high octane offense in situations that suit his skill set even more than in Miami last season. Bush leaving means the RB slot is open for Miller to exploit, and he will be Miami’s feature back, which means plenty of touches and touchdowns. Both warrant a strong look, particularly as late round value picks. This is a strange position in my league, basically WRs don’t collect many points, and you definitely need to grab the TD scorers, as opposed to guys who get more ‘touches’. With that in mind I took a gamble on WRs and took them very late. Obviously I had to look for value, so hopefully some of these guys might help you have a successful draft. Look beyond Calvin Johnson, Wes Welker, Brandon Marshall and take a gamble on one or two of these guys. Torrey Smith is primed for a huge season in Baltimore. With Boldin gone and Pitta out for the season, someone has to catch Joe Flacco’s passes, and Smith has shown to be a go-to-guy the last couple of seasons. Smith has a chance to have a huge season and yet is being drafted very late. If he’s available, go get him, with confidence. Now for two gents directly associated to the Manning brothers. Victor Cruz isn’t a sleeper but he’s still going surprisingly late in early drafts. This is something of a surprise as he’s going to be Eli Manning’s main man yet again. Cruz won’t let you down. Demaryius Thomas is an absolute physical freak and it will be scary to see what he can accomplish in year two of the Peyton Manning experiment. Antonio Brown will be Ben Roethlisberger's first option this season, now that the Steelers have let Mike Wallace walk. It is not often you can get the top receiver on a high scoring team with a good QB this low down in the draft. If he’s available, grab him. Tampa Bay’s Mike Williams is a solid addition to any receiving corp, and has a particularly strong nose for the end zone. Jimmy Graham is the man this season, particularly with Rob Gronkowski potentially playing at less than 100%. Tight End won’t win you your league, but the position could certainly lose it for you! With that in mind, a couple of low risk, high upside guys for you to look at. Greg Olsen and Owen Daniels, of Carolina and Houston respectively are good enough that you should grab them if they are available in a value position in your draft. Both will put up very competitive points from the TE spot, and indeed should finish higher up the TE rankings than 7th and 8th respectively before seasons end. Jordan Cameron is an intriguing prospect in Cleveland. He has the size and skill to take advantage of the fact he will probably get to play straight away, and will probably get plenty of touches. If you are stretching for a TE late in the draft, Cameron might offer a huge payout points wise for very little risk. Throw a dart at a board of the top 10 kickers. Whoever you get, awesome! You’ll do just fine! Defences are a tricky little prospect. Do you value them or not? Depends really on if you are willing to take a chance or simply go with the flow and accept a very low return on your defences. A low tier defence will chip in a few points here and there but won’t win you any weeks. A good defence can be a game changer. Two good defences can see you take titles. Seattle and San Francisco are the two elite, premium NFL fantasy defences. Get one of these, and you are going to have a good time. Both are elite because they are built to dominate. They are both stacked with sensational defensive talent, and are both threats to score multiple touch downs. As you get into the later rounds, be brave, grab one of them a little ahead of time. One of these defences can be more valuable to you than some late round scrub player. I am intrigued by the Denver defence. First of all, it’s damn good, full of pace, talent and touchdown capability. Second, when they play at home, they have something of an unfair natural advantage from being used to the high altitude. This is a huge game changer late in the fourth quarter as opposition offensive linemen crumble against the relentless, fresh, Denver pass rush. Finally, do yourself a favour and check out Denver’s schedule. They have quite simply the easiest schedule in the NFL this season, and should cruise into the playoffs with shocking ease. Denver’s opponents combined to have a disgusting -784 points difference last season, meaning they conceded -784 points combined more than they scored. Nasty! Finally, the New England defence might be the Patriot’s ace card this season. Last year it was young, talented and somewhat inexperienced. They have added a few parts and players like Hightower, Jones and Mayo are a year wiser. The Patriots might have to win a few low scoring games, and here’s betting defensive guru Belichick will find a way to do that.